San Francisco – Larry Ellison, Executive Chairman from Oracle Corporation (NYSE: ORCL), revealed on Sunday new cloud applications and services from the company, betting on the cloud technology as he thinks the industry has lots of room for growth. Ellison said that Oracle doesn’t longer pay any attention to IBM and SAP because they don’t compete with the company cloud services, however, other companies like Amazon, Workday, and Microsoft do stand against Oracle on the same business. “We are in the middle – and I really do mean in the middle – of a general shift in computing that is no less important than shift onto personal computing. It seems like early days,” Ellison said in the Oracle Open World Conference in San Francisco, according to Bloomberg. The company keeps investing as new rivals put pressure on Oracle by delivering software via the Internet. Oracle will be providing a series of “integrated cloud” products for managing cloud-based apps and platform services, as two major apps for manufacturing and e-commerce. Exadata, the joint compute and storage system of Oracle, will also be offered as a cloud service. The new SaaS (software-as-a-service) apps were built for the cloud using the company’s Fusion middleware. Ellison expects that these changes in the Oracle’s game are going to make them able to enter new markets, seeking their ambition of dominating the scene. 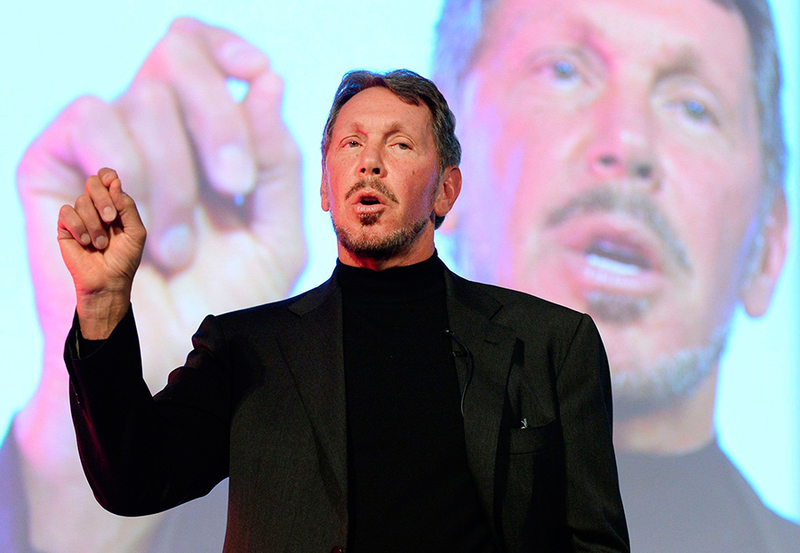 After a bad month for the company, Oracle is aiming for high goals for the next months. The company executives plan to achieve between $1.5 billion to $2 billion by the end of the year. Ellison stated that the company “will sell more new business than any other company around,” according to ZDNet. He expects the Oracle cloud services will match the prices offered by Amazon Web Services. Oracle has always been redesigning its products to sell them over the Internet, to keep up with the shifts on the industry, as cloud services become bigger and bigger. The first cloud companies, such as Workday and Salesforce, have been left behind by competitors like Amazon, one of the major competitors to Oracle. Another important part of Ellison’s speech was about security, stating, “There should be no ‘on and off’ button on security, but should be always on,” said according to PC World. Ellison believes that using silicon chips, which provide real-time intrusion detection, is the proper solution to security issues, as the silicon is very difficult to hack. How to offer security in cloud-based services has been a largely discussed subject, although Ellison stated that people buy security features but don’t turn them on. Nevertheless, security breaches and these high risks have to be solved so cloud services become a real success.